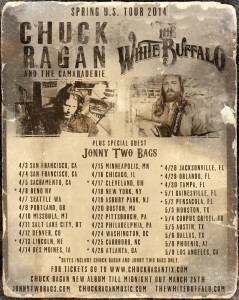 Jonny will join Chuck Ragan on his U.S. tour beginning April 3. See all the dates and buy tickets here now. 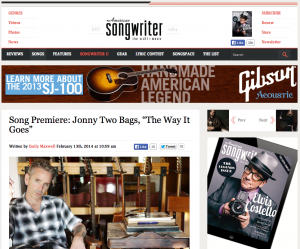 So stoked that American Songwriter is premiering a song from my record! 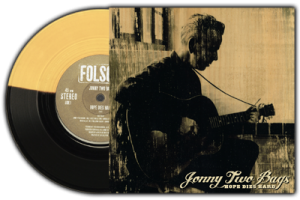 I can’t tell you how excited I am to finally be able to announce the release of my solo record Salvation Town on April 1st! It’s been such a long time coming and we’ve worked long and hard on this but I couldn’t be happier with the results. The first song on the album “One Foot In The Gutter” will be available soon on iTunes, but you can check it out right now at Rolling Stone. Well it’s been a crazy busy couple of months! 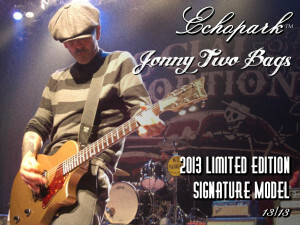 We’re ramping up to the “official” announcement of my signature model guitar with Echopark Guitars. I’m very proud of the instrument Gabe and I came up with. Gabriel Currie is a very talented and passionate luthier, and it’s really great to see all his hard work paying off. Check out the guitar on his website here. If you’re a fan of really great handmade guitars, I think you’ll be stoked. April and May are starting to get busy! Starting April 13th at The Hippy Killer Hoedown with The Supersuckers, THE RED DEVIL SQUADRON and Bob Wayne in Winchester CA., Coachella with Social Distortion on the 14th and 21st, then off to Europe to play festivals and dates with Dave Hause! 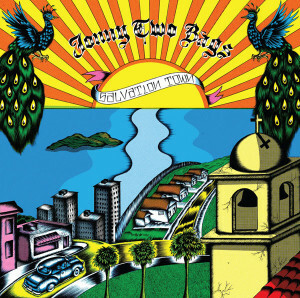 A regular hang for us is the Belly Up in Solana Beach and we’ll be back there on Feb. 23 for Cash’d Out’s Johnny Cash B-Day Show. Also we’ll be playing with our friends Rev. Horton Heat, Lucero and The Headcat at Musink 2013, March 10th at OC Fairgrounds. See ya there!